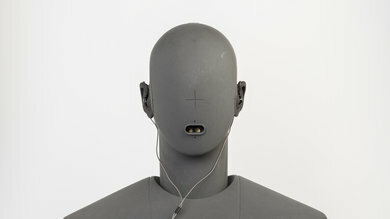 The MEE M6 have a typical in-ear design with ear hooks that make them a bit more stable for sports. 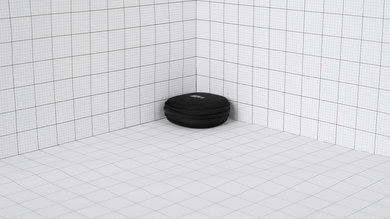 They have very low leakage, they block a fair amount of noise, and they're very portable, which makes them decent for commuting. However their average-at-best build quality and poorly balanced sound will be a deal breaker for some. The Mee Audio Sport-Fi M6 are simple and straightforward in-ear headphones with an ear hook design. They're decently comfortable, with multiple tips to help you find the right fit. They're also lightweight and stable enough to exercise with, but their cheap and slightly flimsy ear hook design won't be as stable as more sports-oriented in-ear headphones. They also do not have the most durable design and have no control scheme which is a little disappointing. 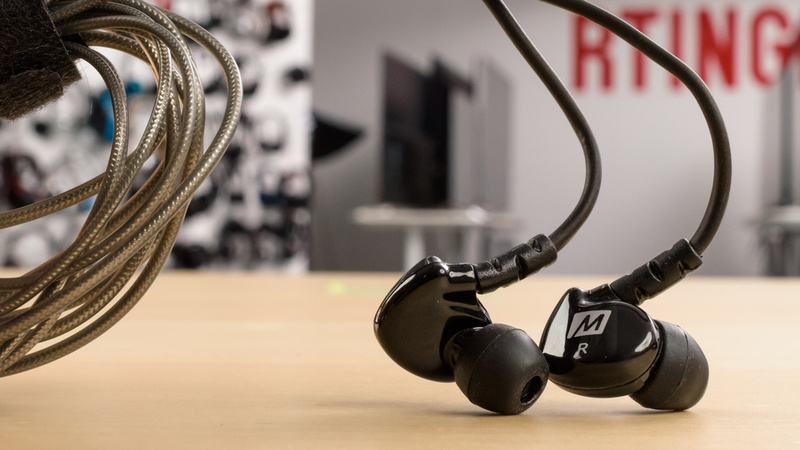 The Mee Audio Sport-Fi M6 are straightforward in-ear headphones. They have an ear-hook design that gives them a more sporty appeal but an understated color scheme that won't stand out in a crowd. Unfortunately, they look and feel a little cheap and the hooks are not the most rigid which won't be as stable as the Q9A or Powerbeats 2 Wireless. 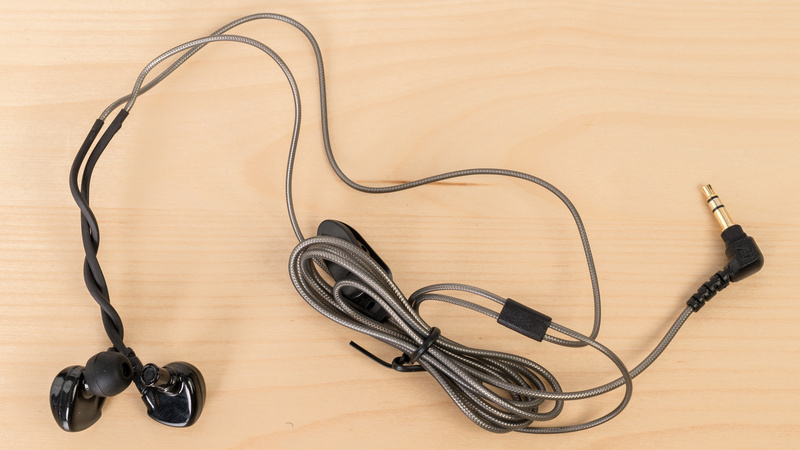 The Mee Audio Sport-Fi M6 a typical in-ear fit with an ear hook design. 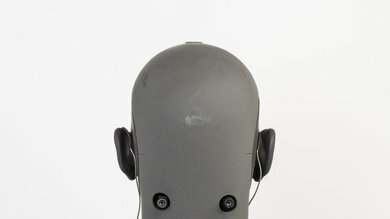 The audio cable goes behind your ears, but it's very thin and does not affect the comfort level. 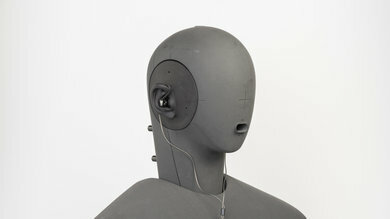 However, the tips will put a little pressure in the ear canal, which can get bothersome during long listening sessions. On the upside, they come with a couple of different tips to help you find the right fit. The Mee Audio Sport-Fi M6 like most in-ears are very portable headphones. They will easily fit in most pockets and they're small enough to carry on your person without hassle. The Mee Audio Sport-Fi M6 come with a decent soft case that will prevent your headphones from getting tangled in your bag or pocket. It will also protect them from falls and impacts but not water damage. 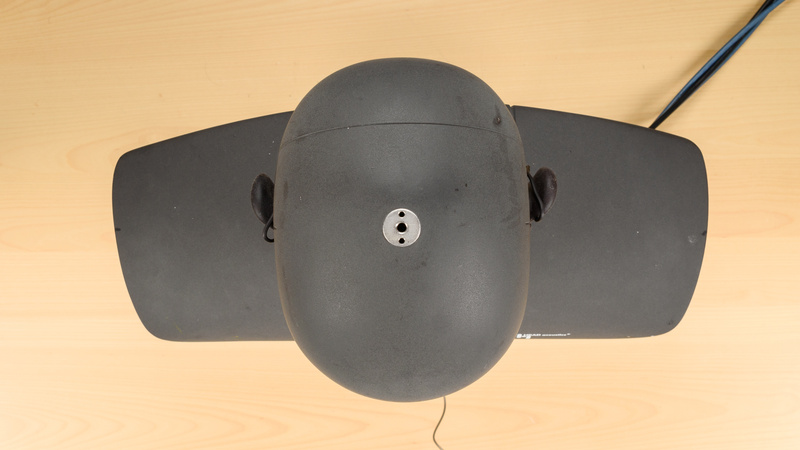 The build quality of the MEE M6 is average-at-best. 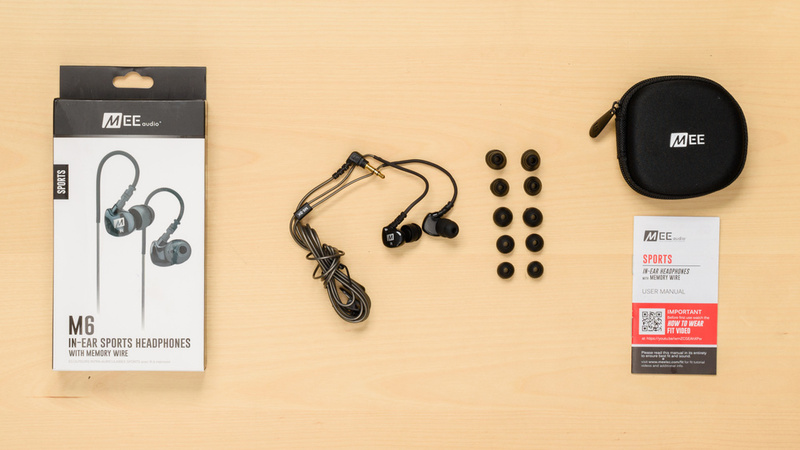 They're lightweight and the earbuds dense enough to handle a couple of drops without getting damaged. However, the audio cable is relatively thin, which may not be as durable as some of the rubberized or flat cables of more premium in-ears. Unfortunately, they also do not have a replaceable cable like the M6 Pro edition and their ear-hook design feels very thin and cheap. The Mee Audio Sport-Fi M6 are stable enough to run and work-out with. 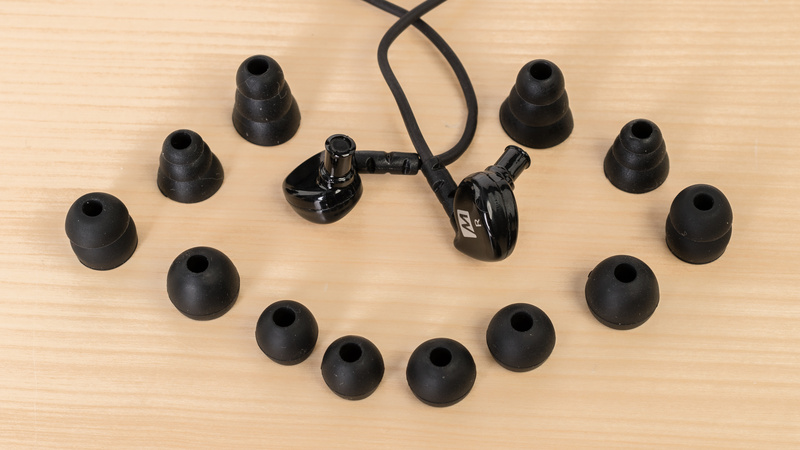 They have an ear-hook design that provides a bit more stability than standard in-ear models. However, the hooks are as thin as the cable, which may not be sturdy enough to keep the headphones attached to your ears during high-intensity exercises at the gym. The Mee Audio Sport-Fi M6 is a sub-standard sounding pair of closed-back in-ear headphones. They have a deep, powerful and consistent bass, a good mid-range, and good imaging. However, their bass is hyped and boomy, their mid-range is slightly recessed, and their treble is overly bright and could sound harsh at times. 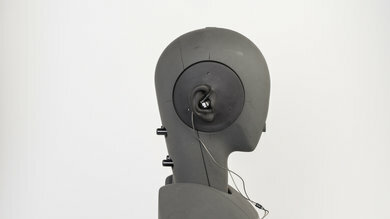 Additionally, they have elevated amounts of harmonic distortion, and like other in-ears, don't have a spacious soundstage. Average bass range performance. Low-frequency extension is at 10Hz, which is perfect. However, the entire bass response is consistently over our target by more than 4dB. This makes the sound of these headphones noticeably bass-heavy and boomy. Good mid-range performance for the Mee Audio Sport-Fi M6. The remarkable thing here is the 5dB dip centered around 700Hz, pushing vocals/leads slightly to the back of the mix. Sub-par treble range performance. 10dB peak at 4.5KHz adds excess brightness to the sound and could make vocals/leads on overly-bright tracks sound harsh. Conversely, the dip in mid-treble takes away some of the presence and sibilances from the mix. Excellent frequency response consistency for the Mee Audio Sport-Fi M6. Like most other in-ear headphones, in the user is able to achieve an air-tight fit with the headphones, then they should be achieving consistent results almost every time. Sub-par harmonic distortion performance. The M6's harmonic distortion profile is nothing out of the ordinary, however, the overall amount of harmonic distortion is quite elevated. The could make the mixes sound cluttered and harsh. The Mee Audio Sport-Fi M6 create a decent seal within the ear that's able to block a good amount of high-frequency noise. You will still be able to hear the hustle and bustle of a busy commute but they should perform fairly well in moderately loud environments as long as you have a bit of audio playing. On the upside, they have remarkably low leakage so you won't distract anyone, even at high volumes. Mediocre isolation performance. The Mee Audio Sport-Fi M6, unlike Jaybird X2 and BeatsX, don't isolate in the bass range. However, they achieved 11dB of isolation in the mid-range which is decent, and 36dB in the treble range, which is above-average. Excellent leakage performance. The Mee audio M6, like most other closed-back in-ear headphones, barely leaks. 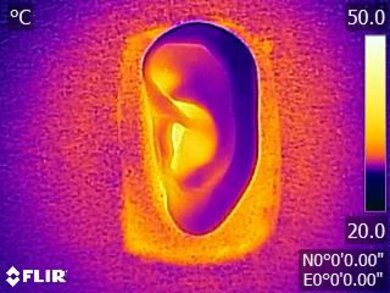 The significant portion of the leakage sits between 3KHz and 6KHz, which is a narrow range, and the overall level of leakage is very low. The Mee Audio Sport-Fi M6 are average-at-best for mixed usage. 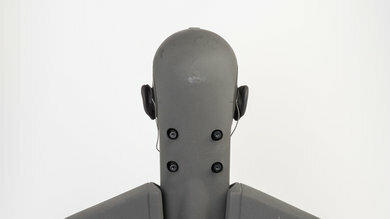 They have a poorly balanced sound and lack a lot of basic features like an inline remote or a mic. On the upside, they're a lightweight and compact in-ear that's stable enough to use at the gym and they block enough noise passively to use while on public transit. Mediocre for critical listening. They have a poorly balanced sound quality, with an overwhelming amount of bass and sharp reproduction of the treble range that will be a deal breaker for some. They're also a closed in-ear design so they do not have a wide and open soundstage that would be ideal for critical listening. Average for commuting. The Mee Audio Sport-Fi M6 don't block as much noise as some other in-ear headphones but depending on the volume at which you play your audio the passive isolation could be sufficient. The Mee Audio Sport-Fi M6 are decent, budget sports headphones. They lack a decent control scheme but they're small and easy to carry around on your person, wherever you go. They're also stable enough to run or exercise with. Average for office use. They will block some of the office chatter but since they barely leak you can mask some of the ambient noise by playing your audio at higher volumes. Average for gaming. 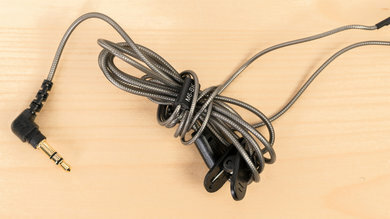 The Mee Audio Sport-Fi M6 have a no latency wired connection but lack a microphone and many of the features that make a good gaming headset.